The last Xmas event of the season for North so roll up, roll up! 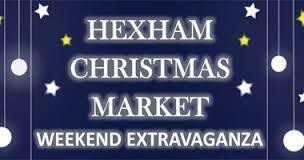 We love this one set in the heart of Hexham next to the wonderful abbey with singing, mulled wine, loads of stalls and a fabulous atmosphere! Wrap up warm!